Choir students at Zavala Elementary School and Harlingen High School used their talents to spread holiday cheer across Harlingen on Dec. 12. 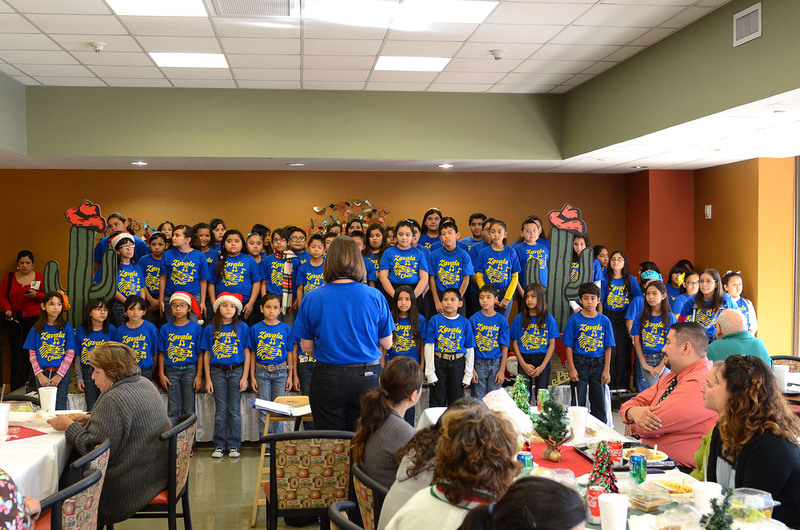 The choirs performed at Valley Baptist Medical for patients and staff as part of their Christmas celebration. Their set list brought smiles to those who attended. All of the holiday staples were front and center as the students dressed to impress for the occasion. The Zavala choir continued spreading Christmas carols throughout the day by later performing at Valley Vista Mall for shoppers, family and friends. The next appearance for the Zavala choir will be at the school’s cafeteria for their Christmas Concert and All School Sing-a-long on Dec. 21. For HHS, the choir will host their winter concert on Dec. 13. Choirs, bands, and orchestras from across the Harlingen Consolidated Independent School District will be having similar events throughout the month of December. HCISD invites the community to come out and enjoy the holiday tunes. 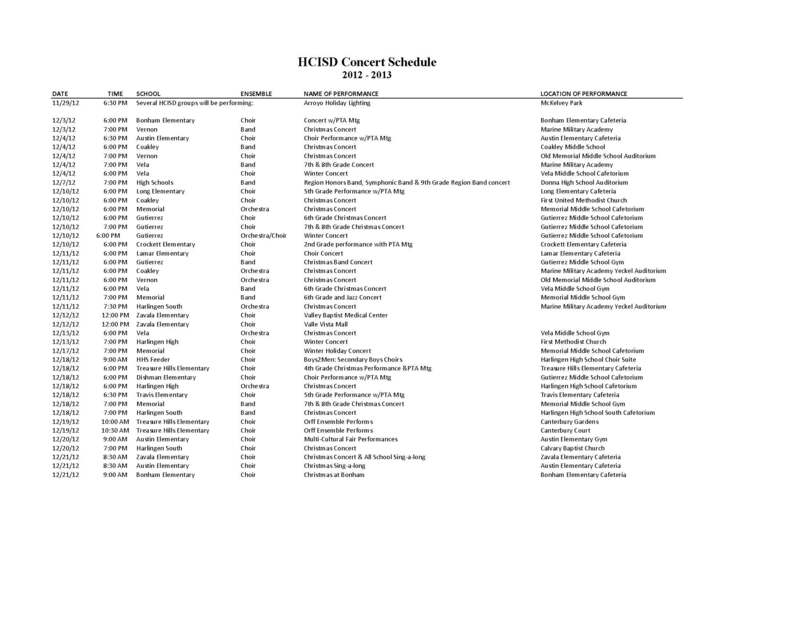 To see the complete concert schedule see the image below.